It’s one of the best hospitals that I have seen so far with extremely professional staff and breastfeeding friendly doctors, who will educate you as a new mom, eliminating fears and doubts regarding feeding and new born care. I was sceptical when it came to choosing this hospital over many other super speciality hospitals in Gurgaon (Cradle, Fortis, cloud nine etc) as it was comparatively a new setup then (2016), however I went ahead with it and I’m happy that I chose it. I also happened to attend the 'one day prenatal workshop' which was pretty informative. We were informed of many myths and wrong practices related to new born baby care. The rooms are super cosy and comfortable with all amenities like that of a star category hotel. The hospital gave a cute birth certificate with our baby's foot prints and other details. A booklet with details of our baby and month wise baby care, milestone chart and growth chart was given on discharge. The parents are made to plant a sapling in the name of their new born baby; pictures are clicked and sent to the parents. Cake is cut by the new parents with their doctor. Most importantly, the hospital bill is not too hard on your pocket/bank balance! All this priced pretty competitively with other good hospitals around. My experience could have been bettered if they had the hospital well-staffed on Sunday(the day I got admitted); however all in all we left the hospital with our swaddled bundle of joys and a happy memory. I would be soon writing a checklist for to-be parents on finalising a hospital for delivery. Disclaimer: This is not a paid review. I am in no way related to the management, nor am I employed with the hospital. It is solely based on my experience there in the year 2016. 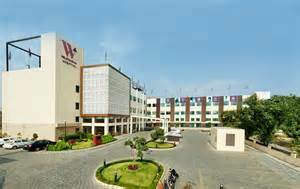 If you are looking for a hospital in Gurgaon for birthing I would certainly recommend W, however kindly do your checks and do not depend on this one review.